The Big Anxiety Festival, the biggest mental health and arts festival in the world, will explore and re-imagine the state of mental health in the 21st century, with a major hub in Parramatta from 12 – 21 October, 2017. Spanning across venues including the Riverside Theatre and Parramatta Park, The Big Anxiety Festival is set to transform the way people think about, and deal, with mental health via innovative experiences, including state-of-the-art immersive, international art exhibitions, theatre and performance, contemporary dance, interactive media events and public forums for the entire family. The Big Anxiety Festival vision is to create opportunities for meaningful encounters that increase curiosity and empathy, decrease stigma, support neurodiversity and promote psychological and emotional well-being in our society. Liminal: draws on neuroscientific research to create a variety of calm and energy experiences that not only generate instant emotional change, but also positively influence moods for at least 30 minutes after use in the majority of users. Hue: is an immersive interactive film about a man who has lost the ability to see colour. This allows viewers to explore an emotional and character-driven narrative, using empathetic touch to help reawaken his senses. The Mobile Mood Lab by George Khut is a converted ambulance that uses new technology to explore the influence of stress and relaxation on our bodies. The experience is immersive, intimate and mesmerising, accompanied by a live soundtrack of your own heart beat, and sounds that rise and fall with changes in your breathing and heart rate. Afterwards, visitors are invited to draw their own maps as a way of processing their experience. Parragirls Past, Present unlocks memories of institutional care in a deeply moving immersive 3D virtual reality experience, presenting former residents’ visions of the Parramatta Girls Home today. Up until the early 1980s, children at risk were held at Parramatta Girls Home and subjected to unwarranted punishment and abuse. Returning after 40 years, the Parragirls seek out traces to substantiate what really happened here. This groundbreaking immersive experience is accompanied by a self-guided audio walk at Parramatta Girls Home on 14 & 21 October. Apocalypse Anonymous takes us into the strange, yet unnervingly familiar world of Doomsday Preppers, whose activities focus on surviving a range of apocalypse scenarios. 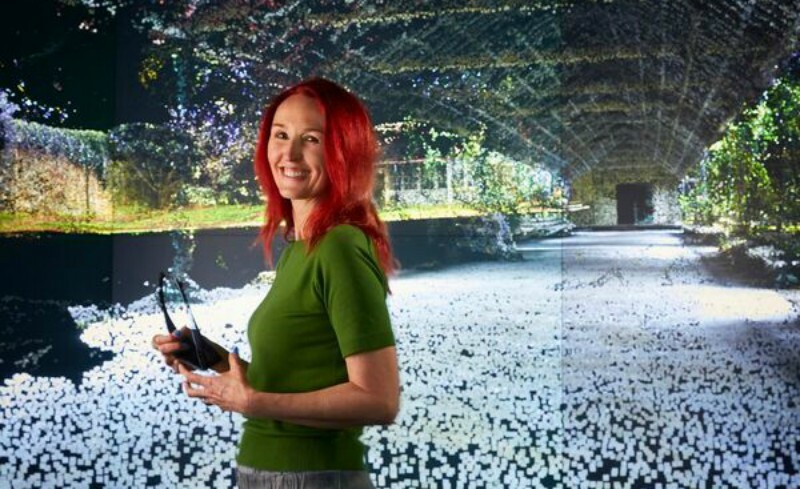 Installed next to the water in Parramatta Park, the work features first-person accounts and interviews, and responds to increasing anxiety about climate change and its social and personal repercussions. The Petition Never to Die by Vicki Van Hout and Marian Abboud is a physical and visual performance that takes place on 13 and 14 October at 7pm on the banks of the Parramatta weir. Participate in re-imagined clinical trials consisting of outdated unethical medical procedures accompanied by jargon filled with never-ending numerical scales exploiting fallibility. Showing at the Parramatta Justice Precinct’s Heritage Courtyard Pavilion Everything is Connected With Everything Else: Myco Logic is an exhibition facilitated by Elizabeth Day with the recovery team and carer networks at Cumberland Hospital. The installation brings together fungi-inspired artwork made in a new rehabilitation arts program with two wards of Cumberland Hospital, connecting audiences outside of the hospital.